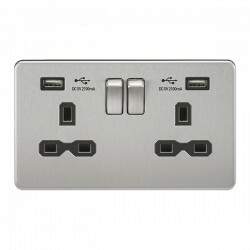 Knightsbridge Screwless Brushed Chrome 13A Switched Socket with Dual USB Charger and Bluetooth Speaker - Black Insert at UK Electrical Supplies. 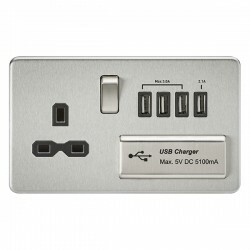 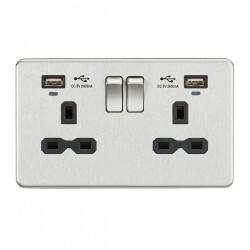 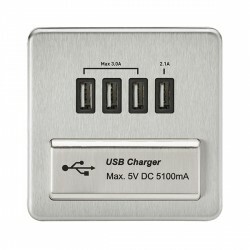 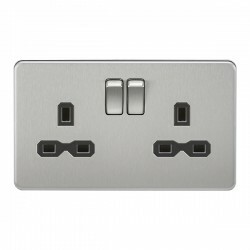 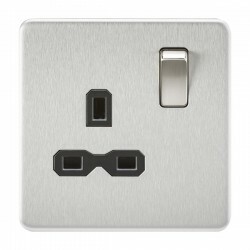 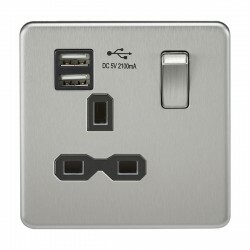 The 13A Switched Socket with Dual USB Charger and Bluetooth Speaker (SFR9905BC) belongs to Knightsbridge’s Screwless range, a premium collection of sleek wiring accessories. 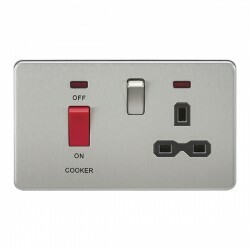 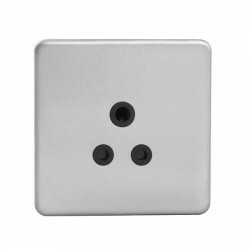 As part of the Screwless range, this unique 3 in 1 socket boasts durable construction from a combination of steel and thermoset materials. 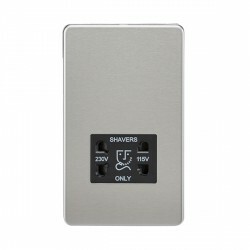 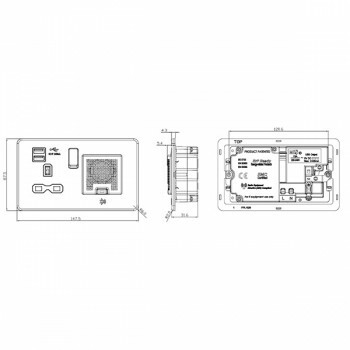 It features a Brushed Chrome clip on cover, matching metallic switch, Black insert, and integral gasket for moisture protection. 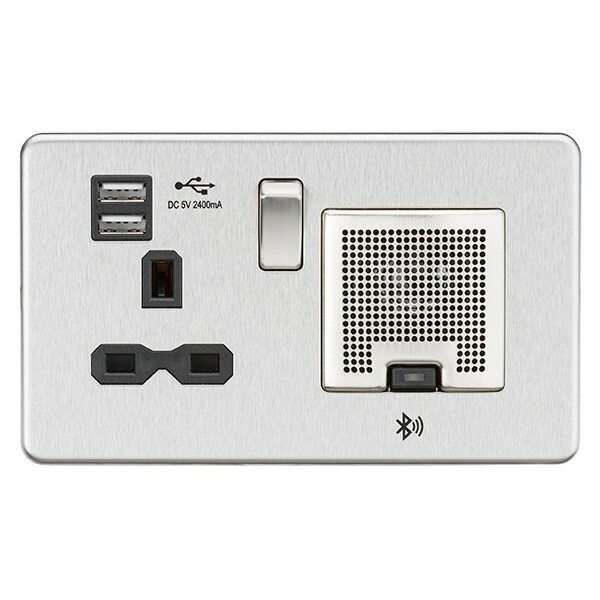 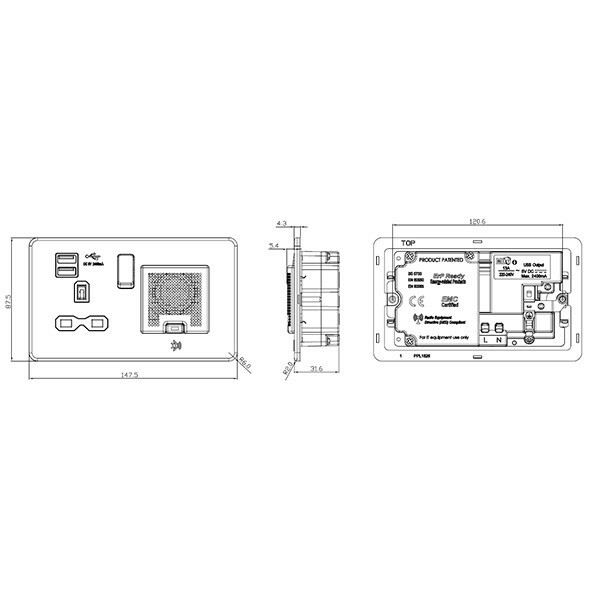 It also includes two convenient USB charging ports with 2.4A shared between them and a 3W RMS Bluetooth Speaker.